55 Hudson Yards, a 51-story tower positioned at the center of New York City’s newest commercial and cultural hub, embraces the city’s bold future while never losing touch with its storied past. 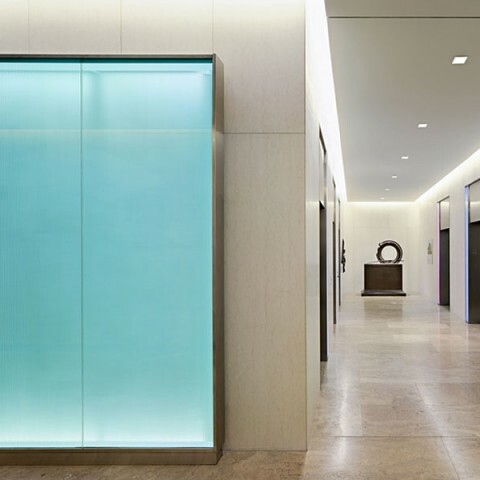 Designed by Kohn Pedersen Fox, flat iron work contrasts with floor-to-ceiling glass while the expansive glass facade at the podium base opens up to a lobby that is both classic and modern, the wall surfaces punctuated by three individual backlit blue onyx feature walls. 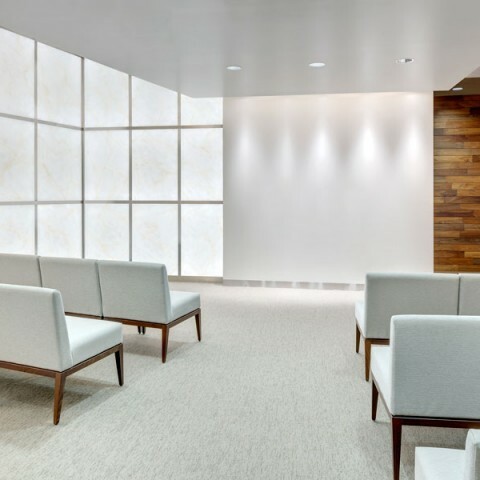 To create these illuminated natural stone features, GPI Design handled the walls as a turnkey package – from sourcing the exotic blue stone panels to developing custom backlighting to designing & fabricating custom bronze finish trim to installing the entire package. The effect of the natural stone as a lobby element defines the building as a classic piece of architecture. 1828 L Street | Washington, D.C.